Anyone who communicates with customers on the phone. Particularly effective for workers in a call centre environment. 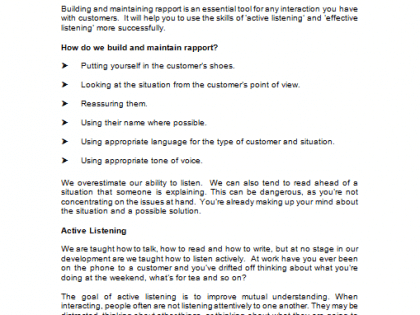 Those involved with negotiation or conflict resolution on the phone. 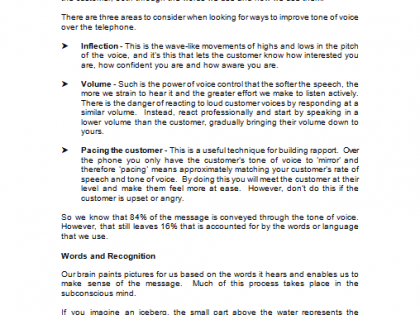 This customer care training has many applications and can be used to develop scenarios where people need to speak to customers on the telephone. Do you sometimes hear your staff or customer service teams on the telephone dealing with unhappy customers and cringe a little, wishing they had handled the situation better? With our Customer Care on the Telephone training course materials there is no need to send your teams on expensive customer care training. We give you all the tools and in-depth content to deliver an engaging and effective customer care training course – for a fraction of the cost. Using our expert training materials you’ll develop the outstanding customer service standards modern customers expect. You can sit back with the peace of mind knowing your delegates are treating customers with the very best of care. And you will have delivered professional and effective training, while barely touching the organisation’s training budget. And that can only be positive for your own reputation. 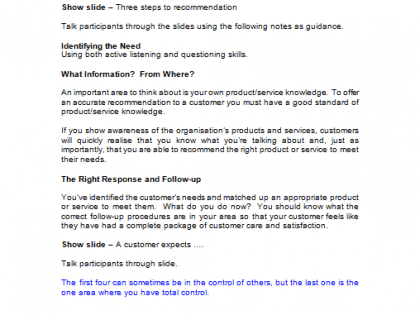 These customer care training course materials will help your participants react better to customer needs – and deal with situations when they become difficult. Customer Service in Business – Here we look at the benefits of being customer-centred. 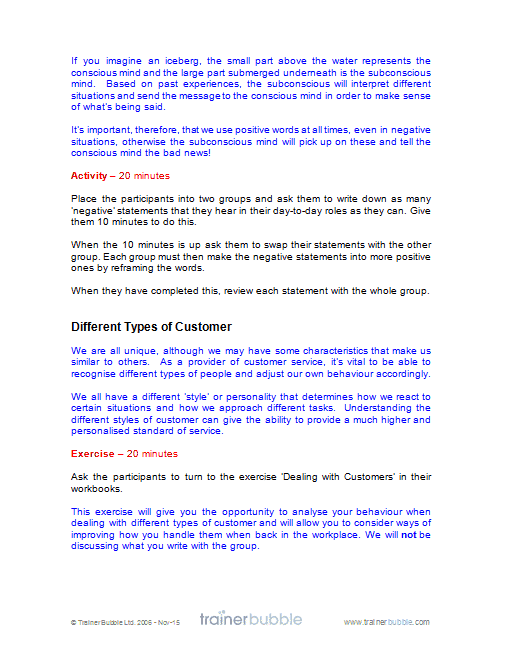 Focusing on how we perceive customers now in order to understand the importance of customers for the business. Understanding Customer Needs – Service is a very personal thing, and our opinions about the service we receive are individual to us. To be in with any chance of succeeding, we at least need to know what our customers expect from us. How We View Things – Understanding that everyone’s reality is different. 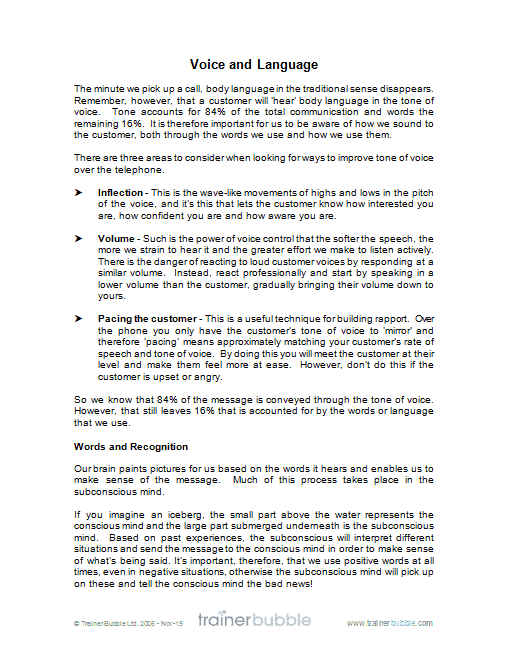 Responding to the needs of our customers without letting our own emotions cloud our judgement. 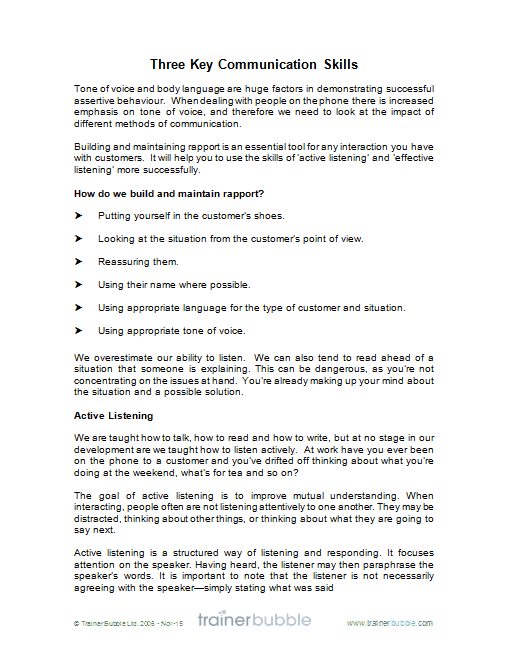 Being Assertive – Focusing on how assertive we are and recognising that being assertive is the key to dealing with customer situations. Looking at five steps to assertiveness. 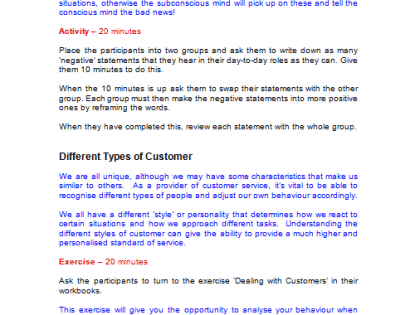 Not Another Complaint – Examining the reasoning behind complaints through discussional activities. A Pig of a Complaint! – A fun exercise with an important message. 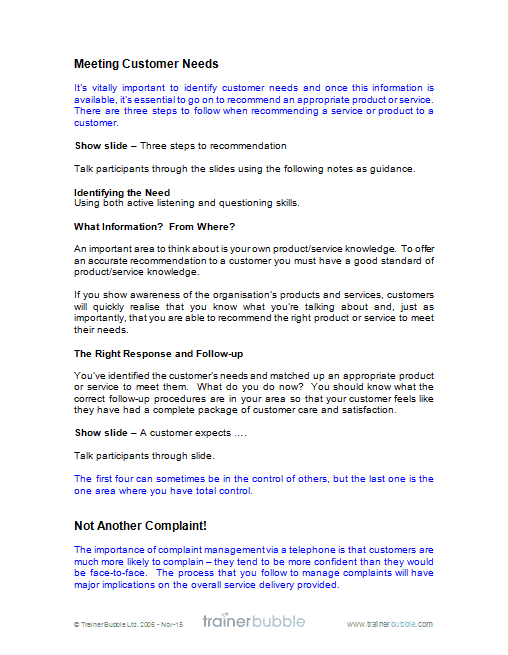 This part of the session is summarised with a specific process for dealing with complaints.